Food supplement containing 10 billion of a mixture of 2 microbiotic strains per capsule. > Now contains a new and well-documented strain, Lactobacillus gasseri LA806. 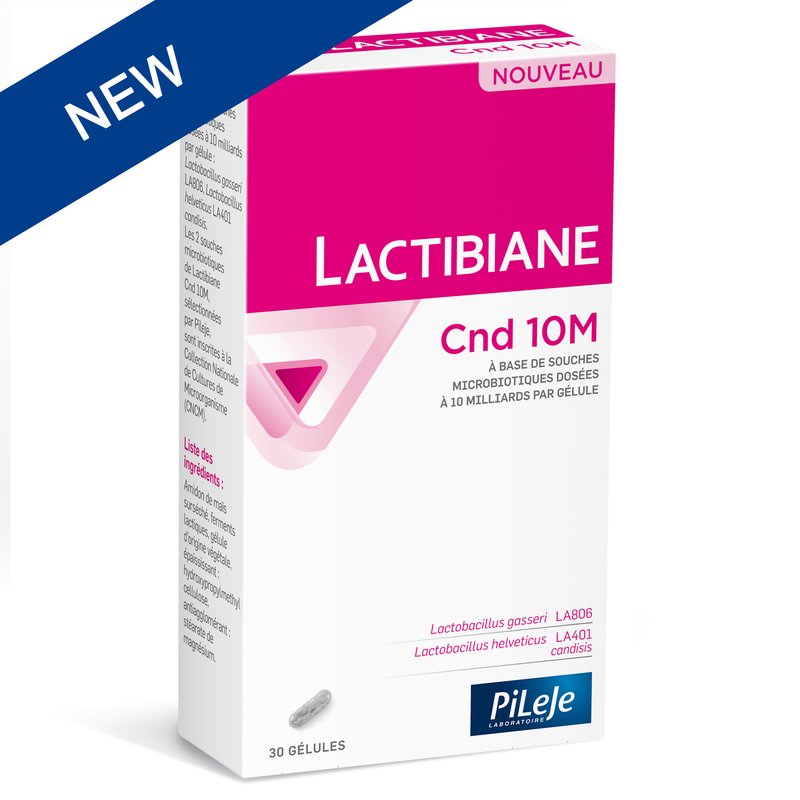 The microbiotic strains selected by PiLeJe for inclusion in Lactibiane Cnd 10M are registered in France's national microorganism collection (CNCM). Lactibiane Cnd 10M satisfies the criteria specified in the HQM (High Quality Microbiotic) Charter, which guarantees a rigorous selection of microbiotic strains and manufacturing practices which meet the highest quality standards. Take 1 or 2 capsules a day. Swallow the capsule with a large glass of water, preferably before a meal. This food supplement cannot replace a varied, well-balanced diet and a healthy lifestyle. Best before date and batch No. are printed on the inside of the box. Highly-dried maize starch, lactic ferments, vegetarian capsule, thickener: hydroxypropyl methylcellulose, anti-caking agent: magnesium stearate.